The 2016 NBA Finals delivered by NBA Digital provided record-setting numbers across all platforms. The extensive NBA and Turner Sports coverage of the NBA Finals delivered a record 1.4 billion videos around the world between the NBA.com web site and NBA App, surpassing last season’s record set during the Finals. Basketball sport content published via NBA TV, NBA on TNT and NBA.com’s Facebook and Twitter accounts generated a record one billion social media million impressions for this year’s NBA Finals, up 68% over last year’s previous high. During Sunday’s Game 7 postgame press conferences, there were a total of 4.7 million minutes of consumption for Facebook Live coverage (on demand and live) via both NBA TV and NBA pages. The Sports Techie community blog tech and data sources for this playoffs piece include, Nielsen Live + SD (05/31/16-06/19/16); Facebook Insights, Twitter Analytics and Adobe Analytics. NBA Digital continues to fuse sports technology, social media and video together for improved online fan experiences. NBA Digital’s Coverage of 2016 NBA Finals Delivers Records Across All Platforms. 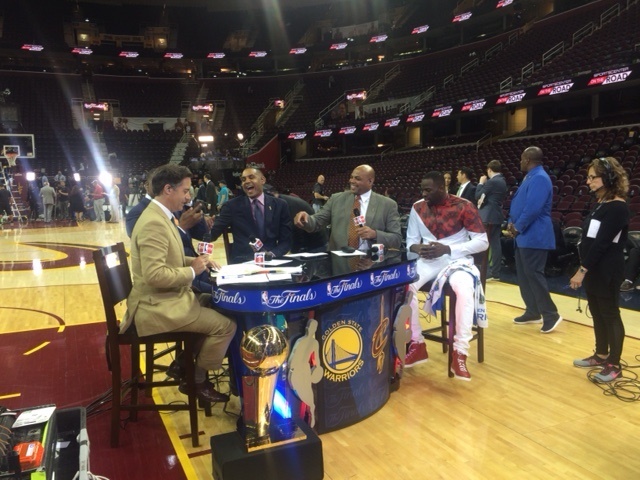 NBA TV averaging an all-time best 258,000 viewers for its postgame coverage of the seven-game series. Sunday’s Game 7 recap coverage – which followed the Cleveland Cavaliers defeating the Golden State Warriors – averaged 553,000 viewers, delivering the most-viewed NBA GameTime of all-time for the NBA Playoffs. The June 19 telecast peaked with 799,000 viewers from 11:15-30 p.m. ET. Domestically, NBA.com and the NBA App combined to garner a 48% increase in visits, a 36% increase in video views and a 14% increase in uniques over last year’s comparable Finals time period. NBA TV, led by its Finals coverage, delivered a 10% audience increase in primetime viewership and a +9% gain for total day viewership when compared to last year’s coverage. During the NBA Finals, NBA TV’s original programming – including Inside Stuff, The Starters, After Dark with Rick Fox, Shaqtin’ A Fool and NBA Finals Film Room (our favorite) – netted an increase of 8% over the same time period last year. Content published via NBA TV, NBA on TNT and NBA.com’s Facebook and Twitter accounts generated a record one billion social media million impressions for this year’s NBA Finals, up 68% over last year’s previous high. Turner’s accounts netted more than 69 million video views, up 311% vs. 2015. Additionally, a record 5.2 billion impressions and 800 million video views were generated during The Finals across NBA social platforms. During Sunday’s Game 7 postgame press conferences, there were a total of 4.7 million minutes of consumption for Facebook Live coverage (on demand and live) via both NBA TV and NBA pages. The NBA’s inclusive cross-platform portfolio of digital properties are jointly managed by the NBA and Turner Sports featuring NBA TV, NBA.com, the NBA App, NBA LEAGUE PASS, WNBA.com and NBADLEAGUE.com. 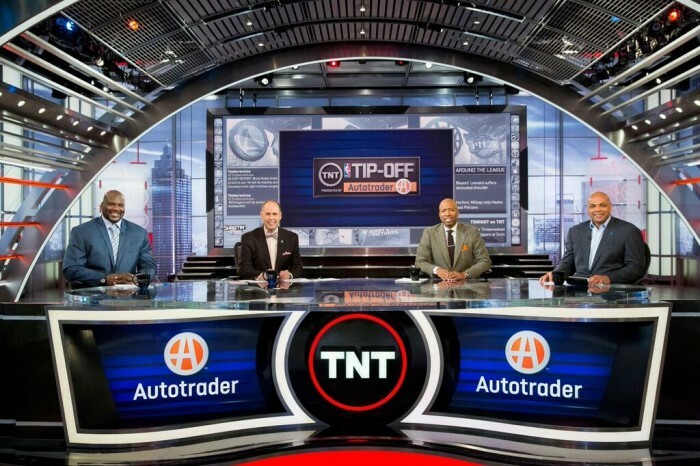 TNT’s Sports Emmy Award-Winning Inside the NBA. Sports Techie, Facebook Live is a game-changer and NBA Digital made it a priority to be the Finals post-game social space to be on the internet. Video has taken over content as the one billion NBA Finals video views generated on NBA Digital further indicates. Will virtual reality (VR) be the next medium to surpass video? More than 5.2 billion impressions generated across social platforms means next year it might be 10 billion when the 2017 NBA Finals re-match between the Cavs (1) and Warriors (1) happens, especially those that believe in the conspiracy theory. I wonder how long it will take the new ELEAGUE produced by Turner Studios to led the eSports craze past NBA Finals viewership. Will millennial and Generation Z tune in to the NBA Finals in record numbers across all platforms in 20 years or will eSports take it’s place? Either way, Turner is hedging their future development in case one sport or the other, or both, lead the way with digital content consumption. In 2036 our son turns 39 and might be an eSports, hoops, and/or guitar playing legend by then. Follow Turner Sports PR @TurnerSportsPR for news on the NBA across TNT, NBA Digital, NCAA, NCAA Digital, MLB on TBS, ELEAGUE, professional golf, PGA.com and Bleacher Report. The NBA Draft is this Thursday. Stream that in real-time for sure because the Philadelphia 76ers and Los Angeles Lakers need serious help with the first and second picks, and Ben Simmons is waiting.